Operating Hours: Monday - Saturday 10am to 2.30pm. Visit the new mosaics that decorate the Sacristy and the Chapterhouse of the Cathedral, designed by the Slovenian priest P.Marko I. Rupnik S.J. Continue the tour through the twelve rooms of the museum, which will delve into the history of the Diocese of Madrid, the recent construction of this Cathedral and the memory of its Patrons: Santa María la Real de la Almudena and San Isidro Labrador. 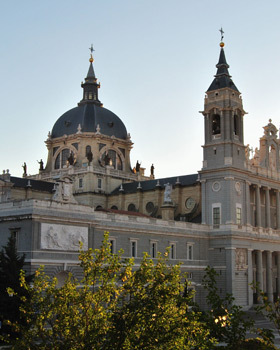 Complete the tour by enjoying spectacular views of Madrid from the dome of the Cathedral. Groups must place reservation in advance.